Contractors, apply today for membership in our Pergola Depot Contractor Discount Program using our online form. Benefits include 15% off the cart price on all pergola kits and an optional free business listing on our website. Free shipping in contiguous U.S. Pergola kits ship within 10 business days of payment. Expedited shipping is available for an additional cost. 15% off all pergola kits year-round (not to be combined with other promotions or coupons; discount on pergola kits only). Additional discount for display (floor model) pergola for showroom or trade show. Free business listing on our Pergola Installer/Service Provider Directory on our website (optional). Quick-link to the Pergola Installer/Service Provider Directory included in every order confirmation we send to our customers. Mentions of your business on our social media pages and blog. Browse our products here on our website, Facebook, Instagram, or Pinterest to see patio cover design ideas that incorporate our standard and custom pergola kits. Sign up today and choose from over 90 standard sizes ranging from 8×8 to 20×20. For custom size pergola kits, submit a custom quote request or contact us with any questions: email or call 1-877-563-0002. Pergola Depot builds and sells quality, affordable pergola kits, serving the United States and Canada since 2008. 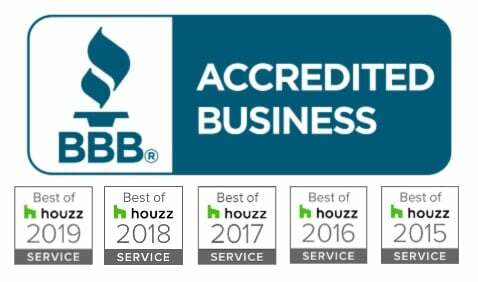 We use high grade lumber, stainless steel hardware and back our product with a one-year limited warranty. Customer reviews speak for themselves. Many of our direct to consumer customers hire an experienced contractor to help them with the installation of their pergola. We also do plenty of business with contractors who purchase our products at a discount for their customers’ projects. We offer over 90 standard designs and sizes as well as custom sizes. Ordering is easy through our website, and live customer service is always an option. We build each kit to order and ship from our shop within 10 business days free of charge in the contiguous U.S. Expedited shipping is available. If you have any questions about the Pergola Depot Contractor Discount Program, email or call us with any questions 1-877-563-0002. 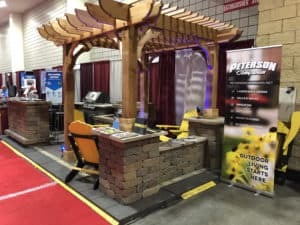 If you're attending a home or garden show and would like to add a pergola to your booth, enter: Home Show Date, Home Show Title, and your booth #, and we'll send you a special code for an extra discount on your booth pergola.